This style is the most popular type of top. It is the only top that can be repaired. It has no appearance of a seam. There are over 50 colours to choose from. Plastic Laminate is one of the most beautiful, durable and easy to care for material for the kitchen, bath or bar countertop. Laminate has a very large variety of colours and designs available. 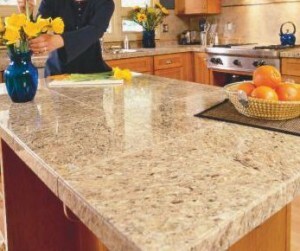 Granite is a igneous rock that contains at least 20% quartz by volume, but also some mica and feldspar. It is mined from around the world. 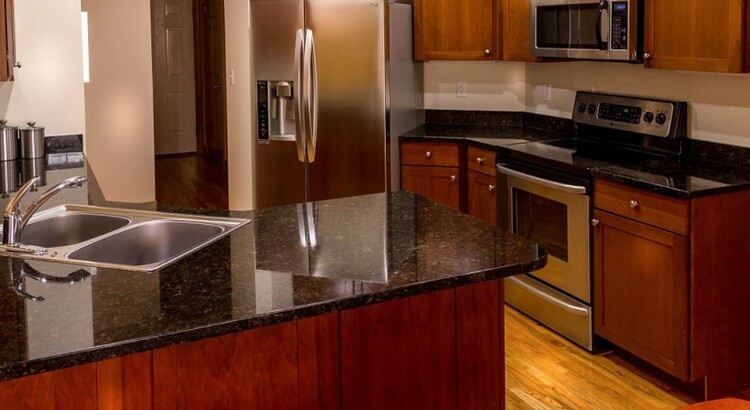 Each slab of granite is unique, hard, durable, scratch-resistant, invulnerable to stains, heat, and water when sealed. It is relatively easy to clean, comes in all colors, and still highly desirable with an even higher resale value. It is a more expensive choice for a counter top due to it’s labour intensive installation, however it bodes a timeless quality. 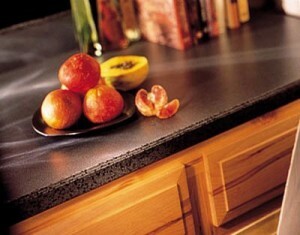 I had AcryFlex counter top installed in our kitchen in 2001. I’m trying to find someone who can buff it as it’s in need. It has never been resurfaced. 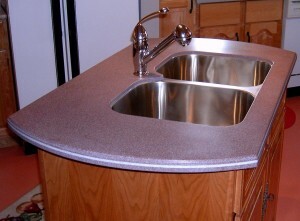 The people who installed it were Clarks Solid Surface Fabricators from Orangeville Ont. I have tried contacting them but phone is no longer in service. Went online and found you. I’m in the Walkerton Ont., area and wonder if you do buffing or would know of someone in our area that does.